Brasstech was founded in 1987 by a father and son team. In 1989 the pair created their first brand product offering – Newport Brass. Today, the Newport Brass brand includes 55 collections and 32 comprehensive finishes. 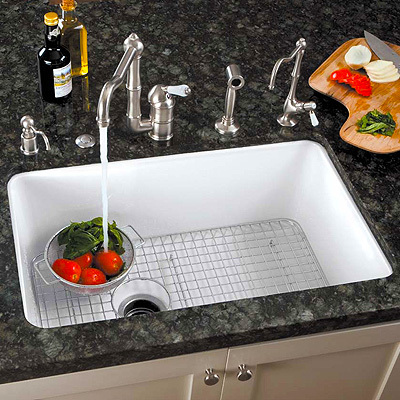 From bathroom sinks, tub and shower faucets, and kitchen faucets, Newport Brass is your source for endless options. At Vintage Tub & Bath, you’ll find products from your favorite Newport Brass collections. Browse our large selection of Newport Brass faucets, showers and more to find the perfect solutions for your bathroom and kitchen. These beautiful classic designs are easy to install with time-saving features like direct connect hoses. All of their bathroom products meet WaterSenseSM water efficiency standards and are AB1953 compliant. Enhance and beautify your home with these high-quality home solutions! Vintage Tub & Bath can special order any Newport Brass item not found on our website. Simply call us at 877-868-1369 or email us at supply@vintagetub.com.